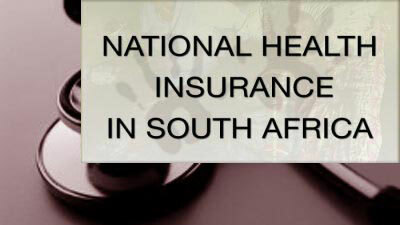 In continuation of our review of the NHI Health Insurance for South Africa White Paper released on 10th December 2015 we need to look at the demand (patient need) and supply side (health care provisions) issues that are revealed and attempted to be resolved through the reform. 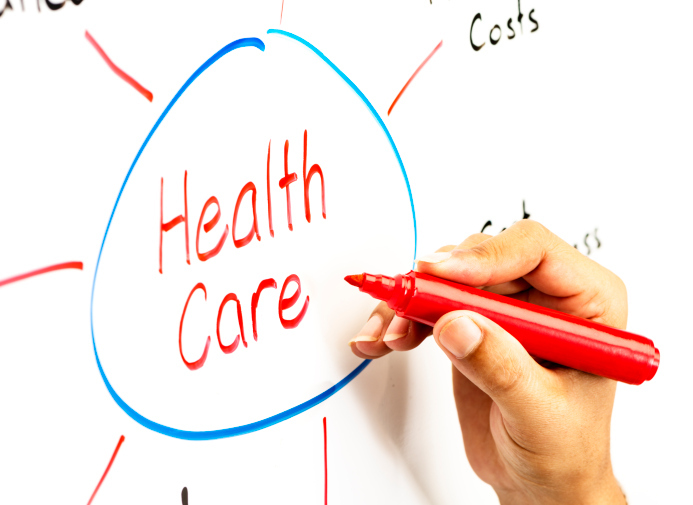 ‘Demand side’ management by Health Insurers / Medical Schemes: What’s their role? What are the virtues of a single vs. competing funds? Schemes and their Administrators / Managed Care efforts are failing to adequately manage the ‘production’ efforts of the private supply side. This is because Schemes don’t compete on the overall ‘value’ proposition for consumers i.e. the member experience and outcomes of the system. Currently, they’re mostly concerned with attracting healthy members, crudely restricting care and getting marginally better Tariff prices than other Schemes. They have a short term focus because cover is sold on an annual term. And because Scheme cover is sold nationally, they aren’t involved in local level system performance and they just don’t undertake the role of ‘managers’ of the system. Nor does anyone else. Would a single Scheme with local offices do better? Maybe, but the price is likely be a system that is also less responsive to consumers. We like the Dutch system where membership of a choice one of a number of competing Schemes is mandatory, and the State pays contributions for the poor. ‘Supply side’ provision: What is the policy aim for the design of the effective supply model; and how will this be engineered? A ‘vision’ of an effective supply model for the whole of SA is not evident in the plan at all, and in our view is the biggest weakness of the whole proposal. If purchase function and demand side management is solved, with what services would the Scheme (or Schemes) contract? Neither of the current models public or private is an obvious basis from which to build a new system. Nor is there a clear policy vision nor aims for how the sector will be structured and how its processes will work. Paying differently – DRGs and capitation – are a requirement but experience tells that this alone does not lead to structural change. That takes a whole lot more. Unfortunately, the document is largely silent on supply side reform, appearing to believe that the public sector needs a few tweaks to make it a viable basis and that any gaps can be contracted from private providers. PPO Serve is based on this insight. 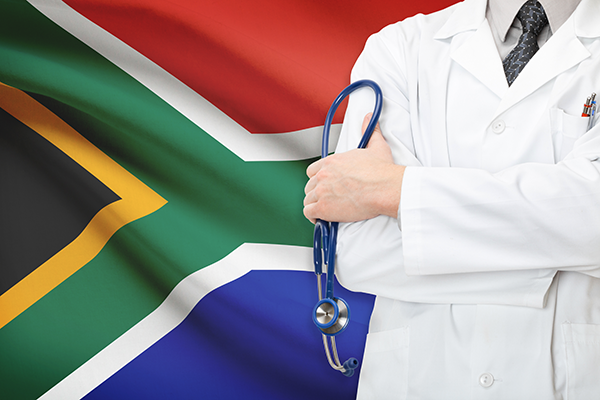 NHI White Paper – What Problem is South Africa trying to Solve? Consistent with the Green Paper, the proposal is based on an insurance model where the insurer is a single inclusive national fund that collects and pools contributions and undertakes selective purchasing / contracting from providers on behalf of the population. What problem Is South Africa solving? 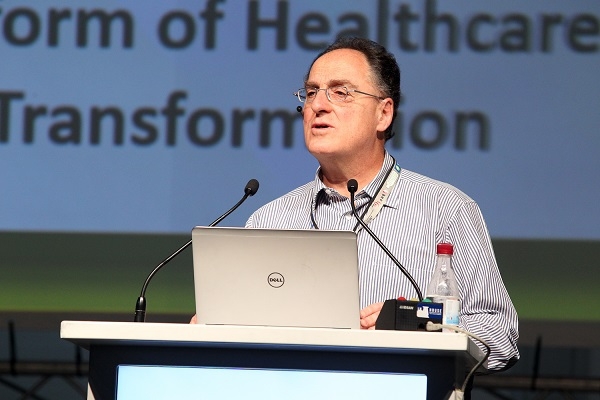 What is the tactical approach to achieve Universal Health Care in SA? The Problem of the public sector is poor service and responsiveness, because it is not structured for its post-apartheid role and is badly managed. Many words written about this, were not going to add more here. It has huge excess capacity relative to the currently covered population (it could easily deal with double the population) and consequently over-servicing is rife (in many regions) as providers struggle to meet their (‘threshold’/ sustainable) income requirements. This process marginalises thousands of general practitioners; invalidates any role for mid-level workers and obliges specialists to take on the primary care role for which they are poorly suited. The result is that, while the sector is good at dealing with acute problems, it is badly structured to treat patients with complex medical and social problems, especially the aged. But it is on these patients that the bulk of healthcare costs are expended. They experience poor quality, expensive care, driven by unmanaged and plenty of unneeded hospital services. Fix this and you go a long way to getting better value and lower premiums. So is there a feasible tactical approach outlined in the white paper? We don’t think so. Today there is a two tier system that serve populations reflecting the enormous income and wealth disparities of South Africans. They have very different structures and organisation, costs and outcomes. How is it possible to achieve a unified system in 14 years? We believe this is neither economically or politically feasible, nor is it practical. Developing countries with similar income inequality problems that have succeeded in healthcare reform have succeeded by understanding the economics of the healthcare system. Eddy van Doorslaer from the Institute for Health Policy & Management & School of Economics Erasmus University Rotterdam provided a good overview of Asian healthcare changes. Essentially they adopt an incremental approach with clear supply strategies linked to demand within income bands, with a special focus on the ‘gap’ market i.e. people neither wealthy nor poor. New efficient delivery models of care are promoted that meet the affordability and care needs of the ‘gap’ market segment are key. These are not cheap and nasty nor do they offer a narrow range of therapies. They are affordable because they are efficient. This is supported by State provide partial subsidies for access via Scheme premiums as well as for supply side innovation. It offers support in other ways too because supply side reform is the key to success. Finally, systems that provide comprehensive care of good quality at affordable price have strong community level primary care services. They also rely on market driven competitive systems to deliver iterative population value and market equilibrium, within a population determined capacity plan. 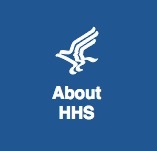 What does it take to raise the quality of health care? PPO Serve was created to help clinicians work in a rewarding environment where providing consistently great care is routine. It’s an uncomfortable truth that there’s a wide variation in the quality provided by the health care sector. While clinicians believe they are providing the best level of care possible, health economists and large funders see real differences and patients experience it differently. Care provision varies significantly between individual clinicians, whole systems and geographic regions. In fact, there is more variation in healthcare outcomes than in most other industries. Most industries routinely apply standard operating procedures and measure quality standards, so that, as a consumer, you expect and reliably get high quality food from restaurant chains and franchises. Similarly, we happily pay ‘top dollar’ for a top car brands because of the reputation for quality it carries…. 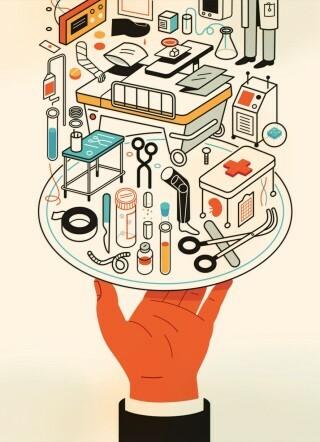 Atul Gawande, in his 2012 article BIG MED poses that question and answers it – we need to learn from other industries. Gawande proposes that our sector could learn a great deal from restaurant chains that routinely provide complex, high quality products at prices affordable for the mass market. Also, value as the basis for competition between branded healthcare systems is in the best interests of consumers and patients. The ‘Cheesecake Factory’ is a very successful national US restaurant chain that provides food and service of a type and quality usually associated with ‘up market’ restaurants. They have a huge and complex menu and are able to provide this at prices affordable to the mass market. He contrast this with the healthcare sector with our high costs, mediocre service and unreliable quality…. Gawande identifies key factors in the success in consistently providing these quality services. their reputation for quality and reliability. In our hospital systems, in the absence of meaningful measures, public speculation about questionable practice do occasionally harm hospitals but typically patients can judge quality only by appearances. In the US, large chains are increasingly competing on for patients and being paid by insurers based on their clinical production. Process re-engineering is crucial. The Cheesecake Factory is a process reengineered restaurant chain, with an approach remarkably similar to that taken by the most progressive and successful integrated healthcare systems. Tasks are carefully designed and assigned, electronic systems provide support, record performance measures and enable the monitoring of quality. Also, while standardisation is key (95%), customisation is fine (5%) and individual professional autonomy determines how results are achieved. Reduce waste. A dynamic capacity planning model matches the demand for products and the supply of staff and consumables (food or drugs…) so waste is reduced to under 2.5%. Planning includes a forecasting element, predicting high utilisation by season, weather or large events. The article explores the application of these principles in the setting of the ICU – our most complex clinical system and where patients typically experience highly variable outcomes. The intervention described is of an ‘off site’ technology support centre that provides a package of back up services to many ICUs, including monitoring and compliance. Interventions are based on aspirational standards of care, with related reference lists and alerts. The conclusion acknowledges that change is hard to navigate and is a deliberate process needing time and careful support. PPO Serve exists to help you navigate this change. 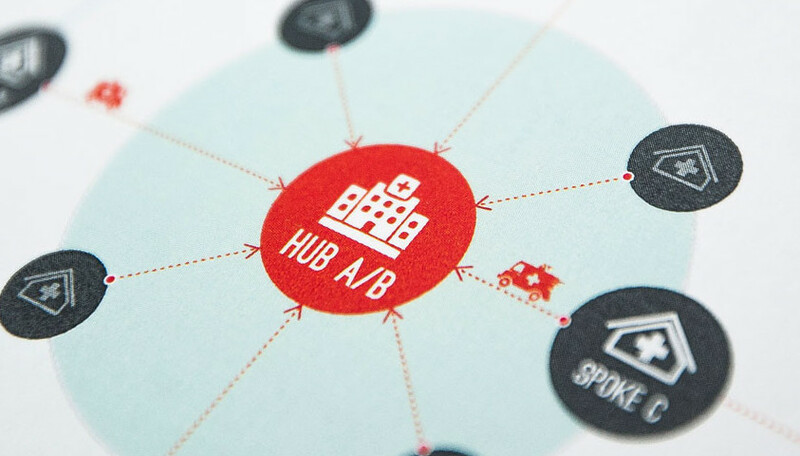 We can help you create the teams, the brand, the planning model and the processes. Read Big Med and then engage with us.